The widest variety of Classical Music on the internet. Classical Music Radio Online will add joy to your life and feed your soul with world-class and unforgettable classical music. 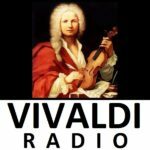 Listen to Classical Music Radio streaming 24 hours a day right here on Classical Music America.Com. Since the year 2000, we’re playing the widest variety of classical music on the internet. Thanks for listening!